As if visiting another planet, Namibia's savannah and bushland expanses boast awe-inspiring vistas that are out of this world. One of the least populated countries in Africa, you will find peace and incredible adventure in this land of bold colors and immense desert. 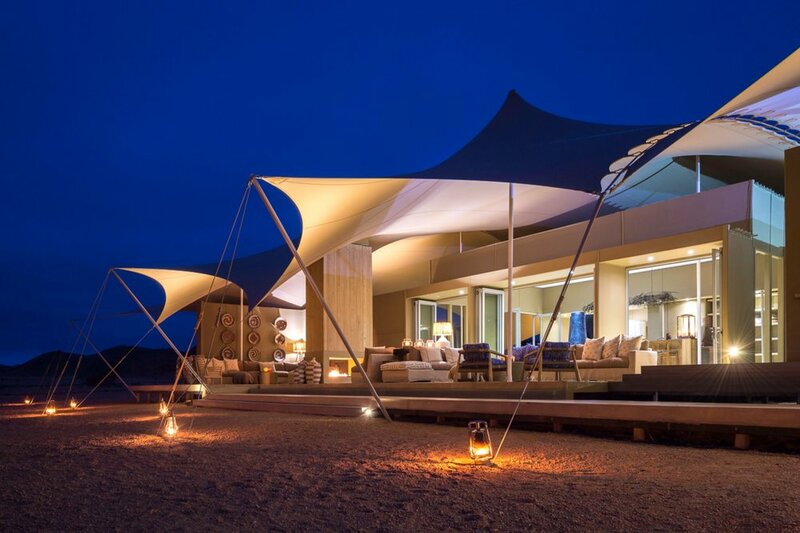 Namibia is maturing as a world-class safari destination and is fast becoming one of Africa's hottest new attractions. Here at Outside GO we have several favorite ways to experience it. You simply must visit the unique Skeleton Coast, which has to be one of the best safaris in Africa. The Etosha National Park, the dunes of Sossusvlei, the interior of Damaraland and the Kaokoveld are all starting to draw travelers looking for an African experience that is set apart from the rest. New small intimate camps and lodges are cropping up all the time in remote locations to cater to new visitors looking for that unconventional safari experience. You'll need to hurry before Namibia is at the top of everyone else's bucket list, too! Arguably the most exciting thing to do in Namibia is embark on our Skeleton Coast Flying Safari. You'll fill your time with activities such as dune hopping, hot-air ballooning, hiking, or a visiting a cheetah conservation project. 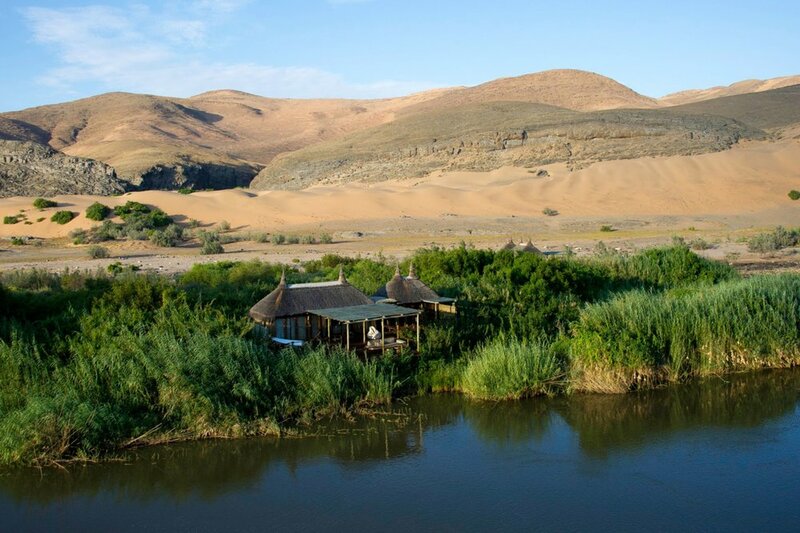 Each night, find rest and relaxation in a mixture of small high quality safari camps and lodges, desert tented camps, remote rustic camps, and few small private guest ranches. All our favorite base camps in Namibia have experienced and professional guides who will show you the charm and secrets of this magnificent country. 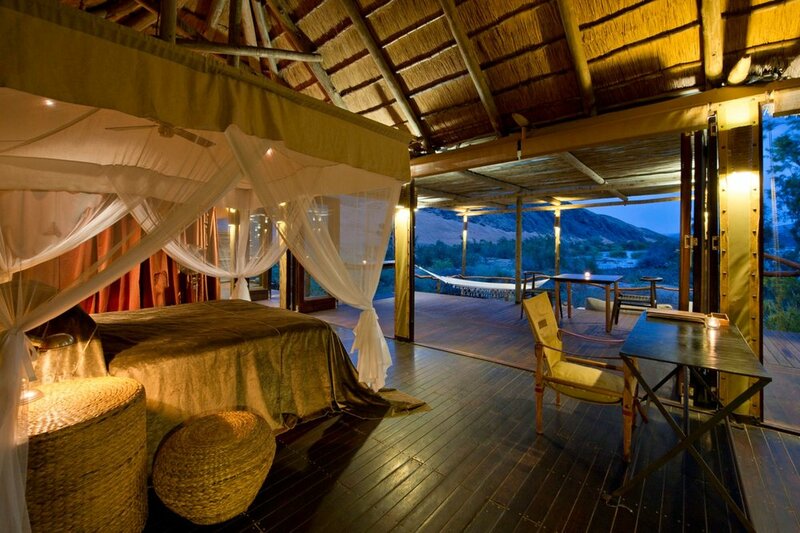 "Though at most times there is plenty of wildlife about, this camp is about much more than that. Morning walks, watching the light and colors change, good company and such a unique place. I would go again in a heartbeat." This breathtaking air safari takes you on a sweeping tour of the natural wonders and diverse wildlife to be found in arid Southwestern Africa. You'll stay in one seriously epic base camp, too. The desert oasis where wildlife, adventure, and culture merge into one fantastic retreat. Canvas is listening to the sound of rain fall from an African sky, sleeping with a thin cloth between you and a pride of lions, becoming as immersed in the experience of travel as physically possible. Voted Best Base Camp of 2015 by Outside Magazine, the Hoanib Skeleton Coast Camp is otherworldly. Save BIG in Africa this year. And no, we're not just talking about the exceptional exchange rates.